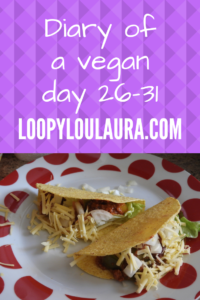 The final installment of my diary of my first month of being vegan. Time for more baking! 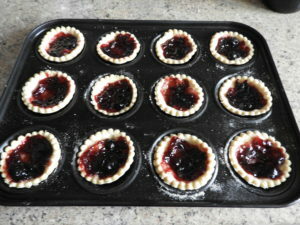 I used a flax egg in the pastry and it worked really well on my jam tarts and pizza tartlets. 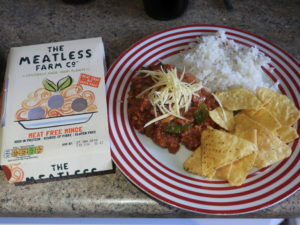 Lunch was chilli with tortillas and rice. Then I enjoyed some pizza tarts and an Itsu noodle pot for tea. 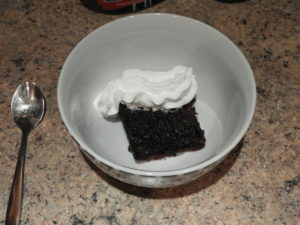 Breakfast was chocolate brownie and cream (both vegan obviously). 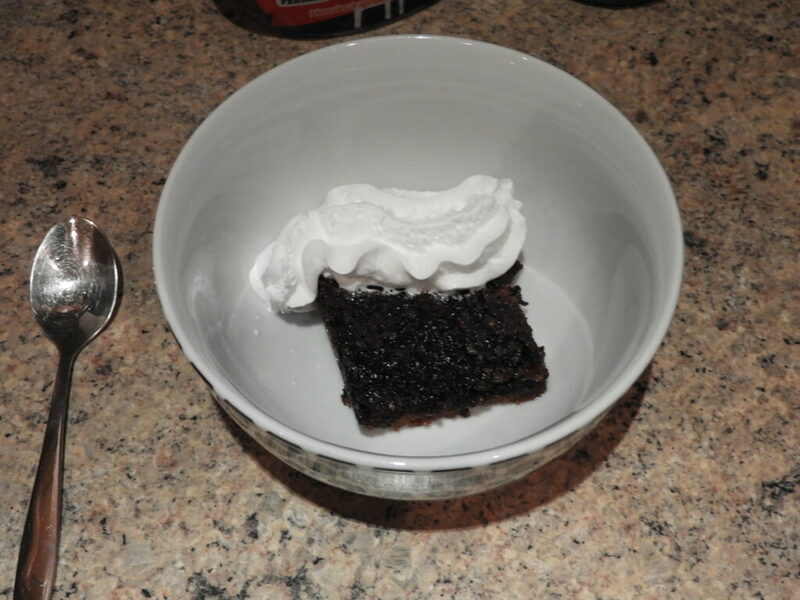 I was pleased with how the brownie turned out, exhanging a flax egg for a normal egg. 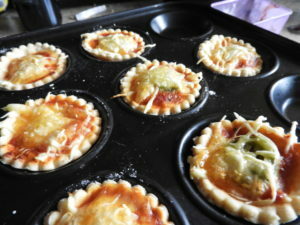 The top formed a crust and the underneath was quite gooey. It worked better warmed and eaten with a spoon than cool as a cake. 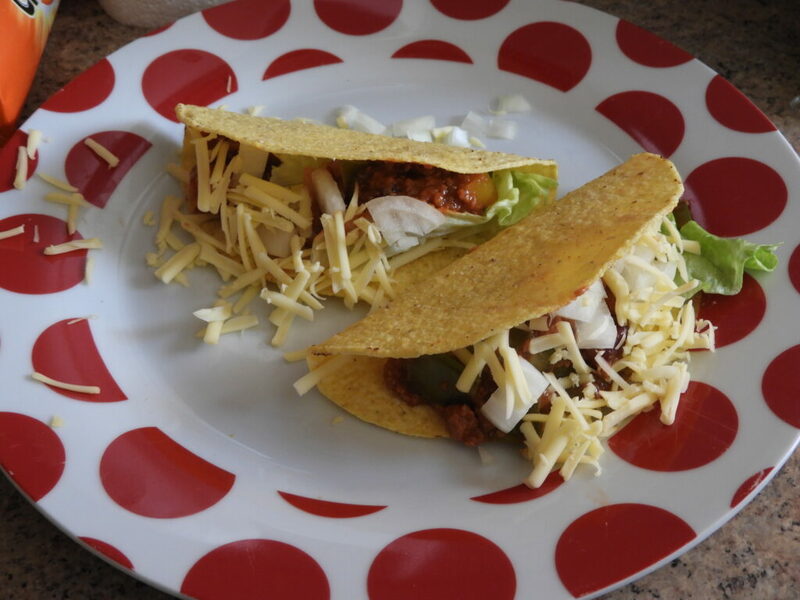 Leftover chilli in taco shells for lunch and cheese and cucmber tacos for tea. Chris LOVED these burgers and so did I! Jackfruit is really tasty and juicy and I’m sure even meat eaters would enjoy these! Mini toad in the hole (using flax eggs again! 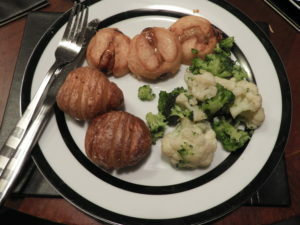 ), hassellback potatoes and veg. My mum cooks potatoes this way and the kids love them so I decided to have a go and they worked out really well. Tofu stirfry and some random asparagus! 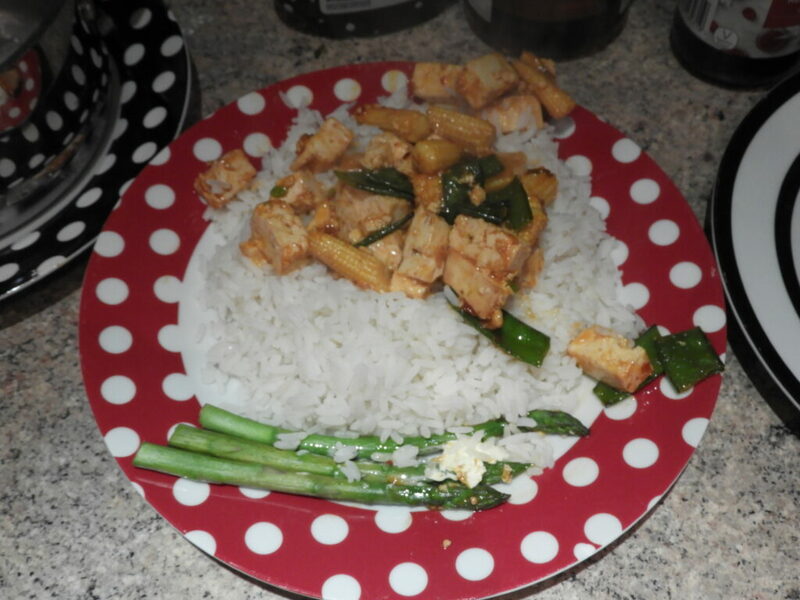 Many stir in sauces have wheat or fish in so make sure you check the ingredients list! Time to take my toenail varnish off as it is the end of the month. I’ve been very impressed with how this Barry M vegan varnish lasted on my toes, no repair jobs! 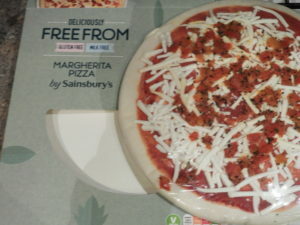 A new pizza from Sainsburys chilled section. More expensive than I would usually pay but it tasted quite good. 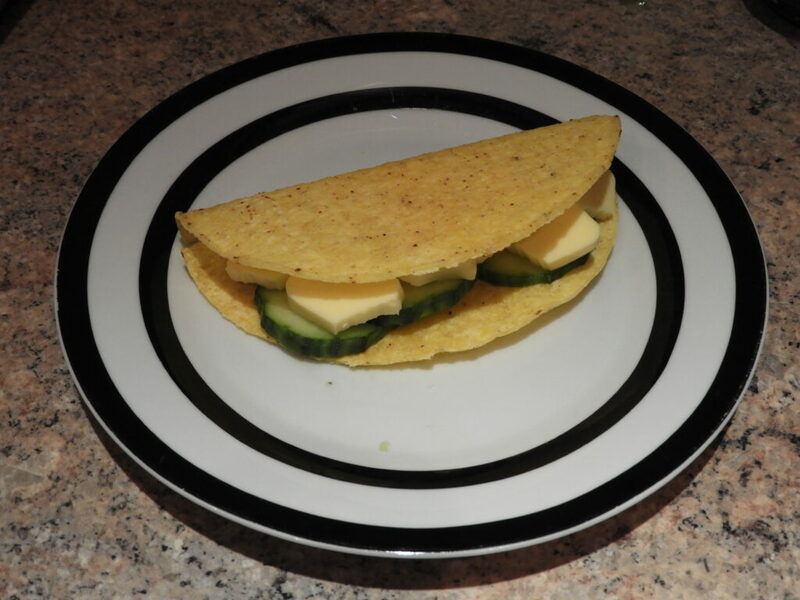 Next time I will load it up with veggie toppings and extra fake cheese. 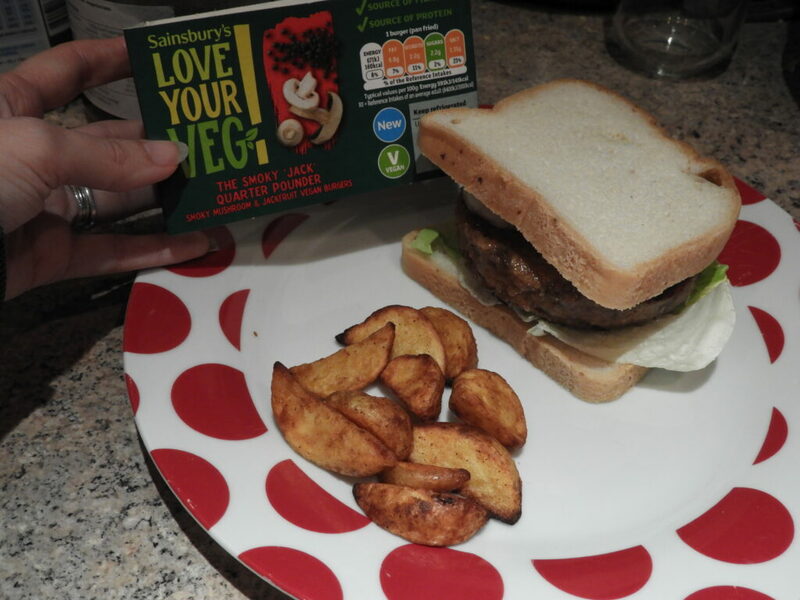 So there we have it, the first month of veganism complete and I’m ready and raring to go on with it! 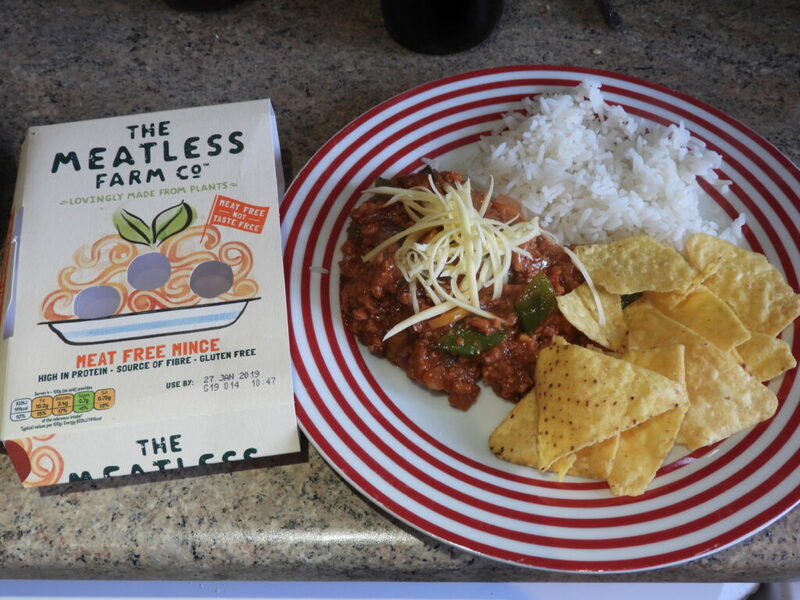 I hope I have inspired some of you readers to have a go at reducing your meat intake and try new vegetarian and vegan options, or maybe go ‘the whole hog’ (excuse the non-vegan phrase….) and become a vegan! Wow. You would hardly know some of these options are vegan. I’ve heard great things about Jack fruit but not tried it myself. This all looks so delicious and healthful! I never heard of a flax egg before. I will have to check them out. I wonder if our local grocery store carries them. The Jackfruit grows abundantly here on our side of the pond. Even the seeds can be eaten! Ooops ! I forgot the #GlobalBlogging tag!